2- 6.38-ounce cans of Pringles (BBQ or Honey Mustard flavor) – I used Cheddar as well and it was yummy! 1. Preheat oven to 400°F with a rack in the middle. 2. Place nuggets in milk. 3. Puree the Pringles in a food processor, and pour into a large sealable plastic bag. Place two or three nuggets at a time in the bag and shake to coat. 4. 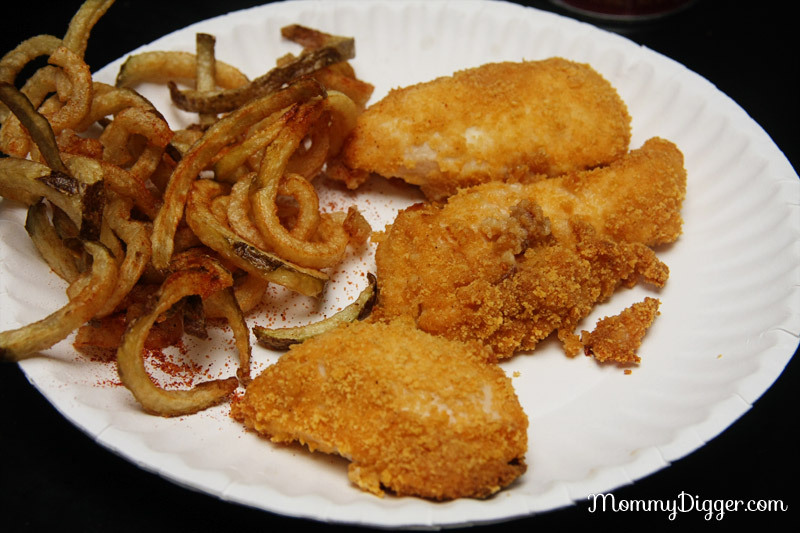 Spray a cookie sheet with cooking spray, and place the well-coated nuggets in a single layer. Bake in the preheated oven for 20 minutes. 5. Remove and let stand, uncovered, 5 to 10 minutes to crisp. Disclosure: I was provided with the Pringles to try this recipe out. All thoughts and opinions are 100% my own. This sounds yummy! Thanks for sharing! I’m going to have to try this! I love Pringles! I think this would be a real hit at my house. Think I’ll be buying some pringles. I never would have thought of this. I love using different things as breading. Thanks so much for the recipe, this really looks yummy. What a great idea! I would probably use the sour cream & onion ones, yum! This looks delicous! I’m always looking for a new way to cook chicken! I love making meals with chicken, I gotta try your recipes. Looks yummy! Thank you for the recipe! This sounds great. I think I’ll try it tonight. This sounds interesting, will tell my wife about this. I would never have thought of using Pringles as a coating! Sounds great! This sounds so good. I think it’s the first thing I’ll make when my teeth heal up. I would love to try these with the cheddar, that sounds real good and I think my grandson would enjoy as well. Just the name drew me to this so I had to check it out. I would have never thought to have used pringles as a coating for chicken. But it does make sense, since it is made from potatoes. Clever idea, Im going to steal it!! What a great idea! I would never have thought to use Pringles to coat the chicken. the kids would really like this.